The choice is yours. Take a moment and pick the HCH channels that interest you. Then subscribe to the social media pages/identities that fit you best. Why? Because HCH wants to ensure you only receive information that's relevant to you. As we work to bring HCH to life, we'd like to ask you to please tell your friends about us. All the good HCH channels wrapped up into one. Be prepared to be overwhelmed with New Brunswick-itis. Art, theater, dance, poetry readings and the like. HCH Arts & Culture is the area's vast array of sophisticated entertainment. Not just news, but good news. HCH Bravo shares news about awards, special recognition, and other exceptional feats, etc. Life can be hectic so sometimes a pause is necessary. HCH Chill Out helps your mind, body & soul find time to regroup and recharge. All that which brings us together. HCH Community is the spirit and the traditions that bind, build and broaden for the better. Hey mom! Hey dad! Grab the kids and enjoy the moment. HCH Family Fun helps families find more of what they're living for. Dining, recipes, slow food, adult beverages and maybe even gardening. HCH Food & Drink is a gastronomic delight. Less than News but still worth sharing or reminding. HCH Fyi Btw Etc is our version of the status update, tweet, etc. Easily find the articles with Flickr photos or YouTube videos. HCH Gallery is the visual stream of New Brunswick's consciousness. All the New Brunswick that is fit to post. HCH Local News is the announcements and other updates that’ll keep you in the loop. Rutgers is a positive force in the community. HCH On Campus aims to bring forth the things RU has to offer everyone. You got questions. We got answers. HCH Q&A is similar to a FAQ but focused on life in and around New Brunswick, and not HCH. For rent. For lease. For sale. HCH Real Estate is the occasional snapshot of the local market. Whether it’s satisfying a want or seeking to fill a need. HCH Shopping provides the inspiration to get your shopping groove on. Some like to move, and others like to watch. HCH Sports Zone captures the best of both of these sports-minded worlds. Features on the (mostly local) people, places and things that define NB NJ. When the HCH Spotlight shines, people listen. Events and such - mostly local, sometimes beyond. HCH Things To Do aims to keep you engaged and occupied. 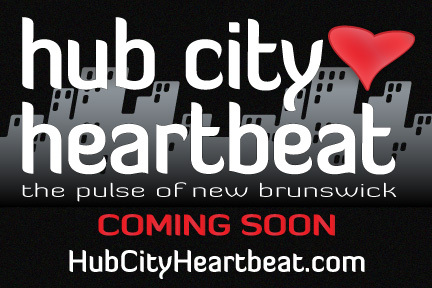 Hub City Heartbeat is an Internet based communications platform architected to enable and enhance the conversation between community content creators (i.e., local businesses and organizations) and interested content consumers (i.e., The Public). More than just a website, HCH is a philosophy based on inclusiveness. HCH believes that community is best defined holistically, and that participation is driven by the availability and consumability of information. The broader and more complete the picture the better. New Brunswick has a lot to offer. Relax. We have taken a forward thinking approach that prevents HCH from adding more "I" to your TMI. We want to ensure that the content HCH distributes continues to remain relevant to you. We understand that one size does not fit all. The HCH model is all about you. Please take a moment to pick your channels so HCH can serve you best.